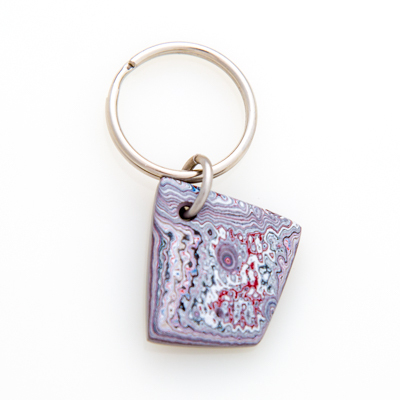 Every piece of Fordite, also known as Motor Agate or Detroit Agate, is a unique object of beauty. 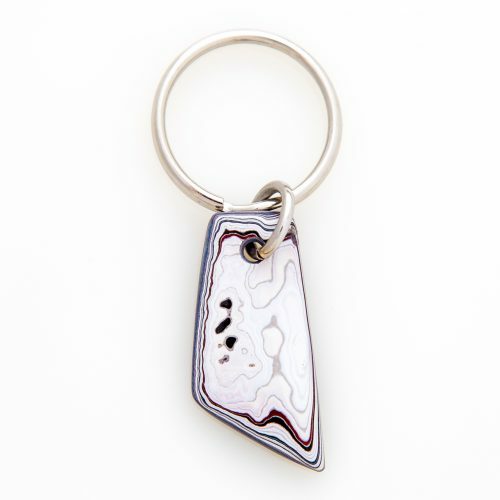 Like agate Fordite is cut and polished to reveal the swirling patterns of colors inside. Unlike agate, Fordite comes not from the ground but from the retired paint shops of the automotive industry. In the old style of painting cars there was a great deal of overspray. This paint built up layer by layer and was baked at high temps between coats. As the story goes, paint shop workers would sometimes knock chunks of the paint buildup loose and take them home as souvenirs. The colorful buildup was beautiful in its raw form and turned out to be breathtaking once cut and polished, perfect for use in jewelry. No one knows how much Fordite was saved. Modern processes are no longer creating this amazing byproduct. 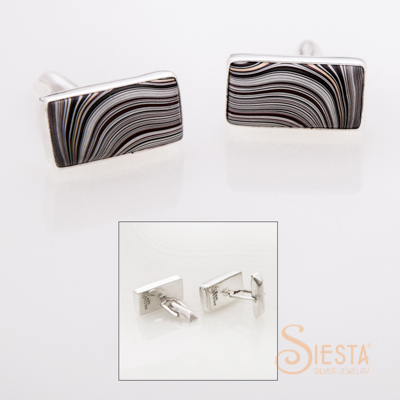 All we know for sure is it looks great in our Siesta earrings, pendants, bracelets, cuff links, key chains and rings! 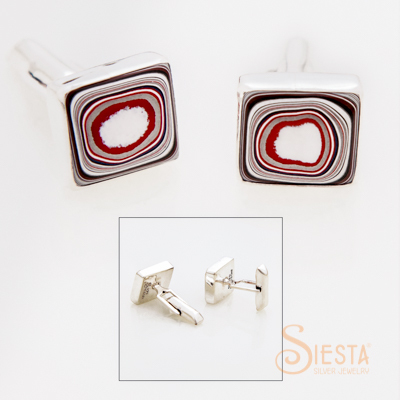 Other exclusive Siesta Silver Jewelry Fordite items may be found at the Detroit Institute of Arts Museum Shop.